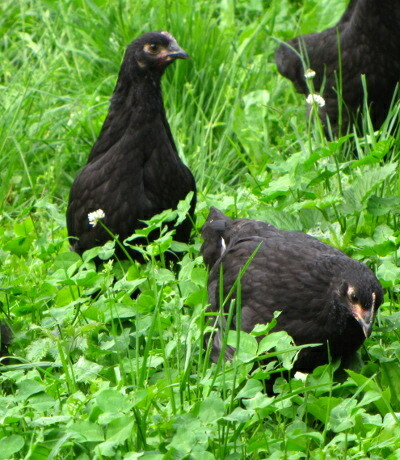 Cornish Cross broilers are usually eaten at 8 weeks. We give our heirlooms an extra month since they grow slower, but the deadline is still fast approaching. We killed the rooster last week and have four of last year's broilers left in the freezer. Looks like we'll be eating a lot of chicken dinners in May. Are those the right ages for heirloom chickens? 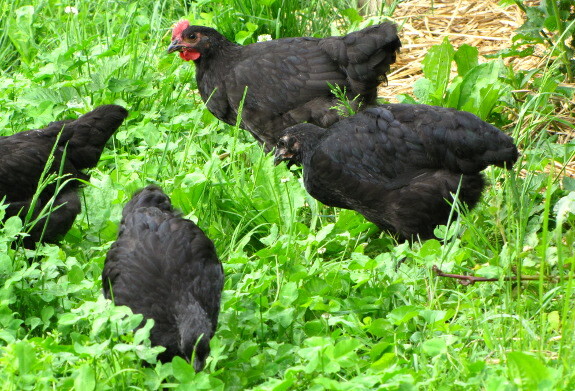 If you're raising your chickens almost entirely on food scraps or free range, you'll be better off waiting. But if you're buying feed, you start paying a lot more if you keep your birds longer.